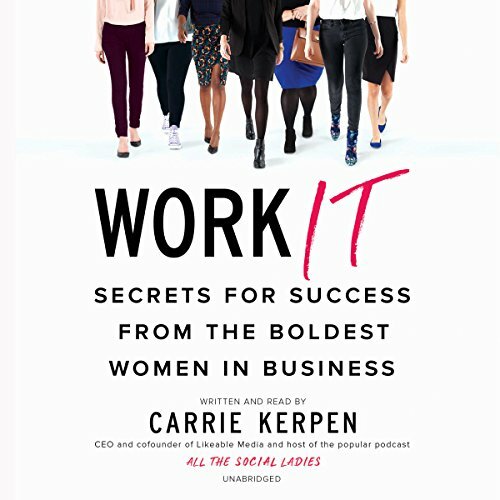 Showing results by author "Carrie Kerpen"
You don't have to be a #Girlboss or "lean in" to have a dream career and live a life you love. In Work It, CEO of Likeable Media and popular podcast host Carrie Kerpen shares her own career lessons as well as those from and an "advisory board" of 50 powerful women in a wide range of industries to help women everywhere make their aspirations a reality. Packed with actionable tips and stories from the likes of Sheryl Sandberg, Aliza Licht, and Reshma Saujani, this inspiring book reveals their counterintuitive secrets for success.